Elgin Baylor Lumpkin better known by his stage name Ginuwine is an American singer and performer. Signed to Epic Records since the mid-1990s, Ginuwine has released a number of multi-platinum and platinum-selling albums and singles, becoming one of R&B's top artists during the 1990s heyday of hip-hop soul. Ginuwine can be spotted in one of Jodeci's videos. There, he met rapper Missy Elliott and producer "Timbaland", who became his main collaborators through the 1990s. Ginuwine's first single, the 1996 " Pony" from Ginuwine. Ginuwine can be spotted in one of Jodeci's videos. There, he met rapper Missy Elliott and producer "Timbaland", who became his main collaborators through the 1990s. Ginuwine's first single, the 1996 " Pony" from Ginuwine...The Bachelor, showcased his smooth vocals and Timbaland's innovative production style, and the two became a hit-making duo. After his second album, 100% Ginuwine, released in 1999, Ginuwine and Timbaland grew apart, and producers such as R. Kelly have crafted hits for him since then. In 2001, Ginuwine had a number-four hit on the Billboard Hot 100 with the single " Differences", which also peaked at number-one on the Billboard Hot R&B/Hip-Hop Singles & Tracks chart. In 2002, Ginuwine was a feature artist on P. Diddy's number-one hit "I Need a Girl (Part II)". In May 2007, an album entitled I Apologize was released in stores. Although attributed to Ginuwine, the release was an unauthorized album and only included three Ginuwine songs - apparently from stolen masters - and ten songs by other artists. Ginuwine spoke against the unofficial release on both his MySpace page and through YouTube. Ginuwine's sixth album entitled A Man's Thoughts, was released on June 23, 2009. Ginuwine formed a group with Tank and Tyrese named TGT. Their first single was a remix of Tank's "Please Don't Go". They were supposed to tour but plans fell apart due to conflicting schedules. Ginuwine announced on his Myspace Blog on August 21, 2008 that due to label and legal issues they will not be able to release an official TGT album. 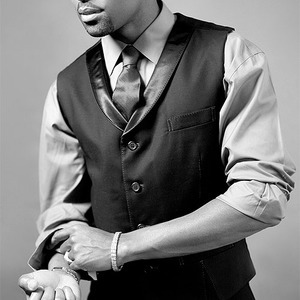 Ginuwine is the founder and CEO of LoveSong Incorporated, after completing his contract with 550 Music/Epic. Ginuwine announced on his Myspace blog on August 21, 2008 that he signed a major label deal with Notifi Records/Warner Brothers.